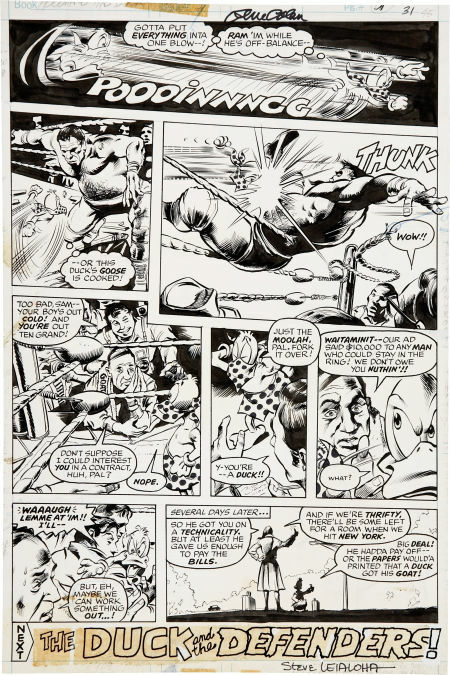 Here are a couple of pages from Howard the Duck--the first comic book I ever loved. 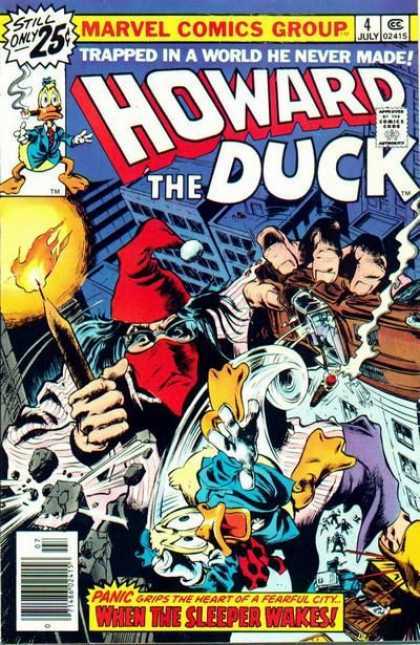 Its two main creators, Steve Gerber and Gene Colan are now dead, which is making me feel pretty old today. A nice appreciation of Colan's work, thanks Robert. The closest he came to doing the "hard-boiled detective fiction" you suggest were a couple of NATHANIEL DUSK mini-series with Don McGregor for DC. 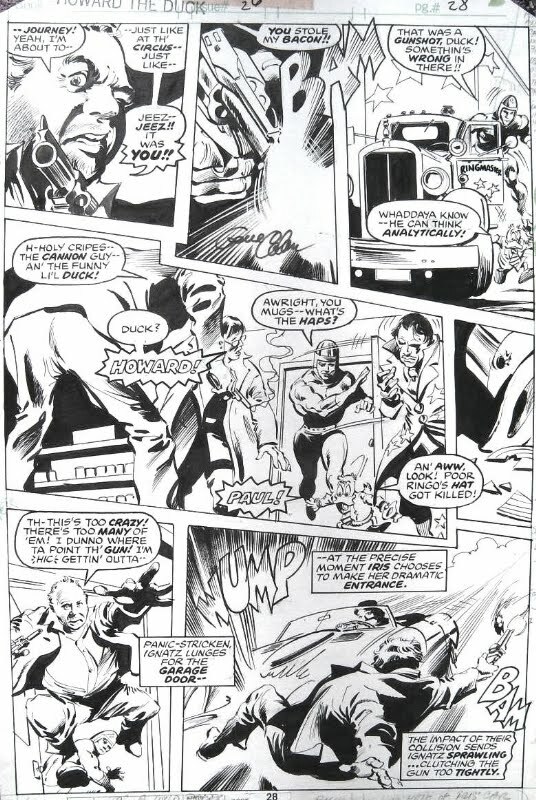 The art was reproduced uninked, directly from Colan's pencils, and it would be interesting to see this reprinted today, with better reproduction standards. I thought of mentioning Nathaniel Dusk, but I decided to keep it short and to the point. Of course, over a career that spanned as long a period as Colan's did, he worked on a lot of different things. But I think of Tardi's adaptations of Jean-Patrick Manchette's detective novels--just imagine if Gene Colan could have had a similar long term relationship with a decent American thriller writer--it could have been great. 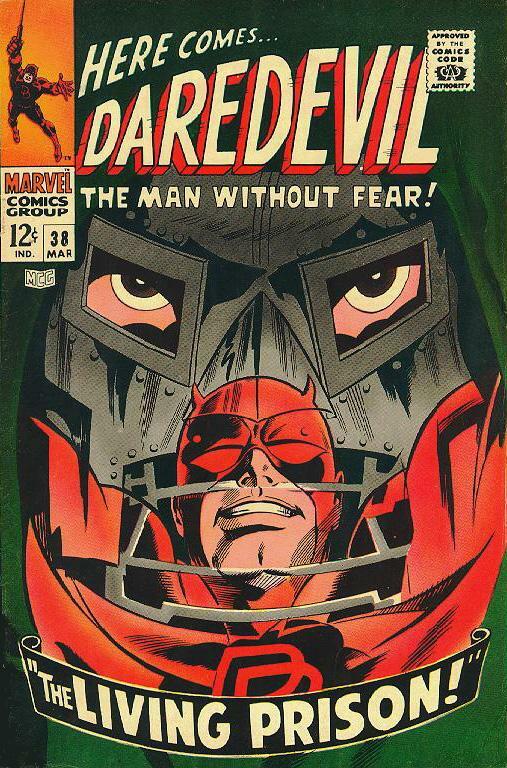 That said, I will always treasure Colan's Howard the Duck and Daredevil.